Transmedia storytelling—telling a single overarching story through use of multiple different media platforms—is an extremely effective way to engage readers. It’s an especially effective way to reach kids and teenagers. Last week, we talked about one reason for its effectiveness: that is, transmedia storytelling meets young readers online, which is where they are spending more and more of their time. However, transmedia storytelling isn’t just a matter of putting the right content in the right places. Magazine ads and television commercials have been doing this for decades. The effectiveness of transmedia storytelling lies in how it reaches young readers, as well as where it reaches them. That “how” is the second reason transmedia storytelling is such an effective way to engage young readers: it taps into the social component of how today’s teens and preteens interact online. Despite the increasing amounts of time spent online, today’s young people may be the most socially connected generation ever. They don’t simply watch a video or read a story or scan a web page: they’re looking for ways to share the experience with friends and followers. When their entertainment has an online component, sharing becomes that much easier. 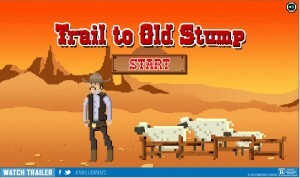 Take the “Trail to Old Stump” game my boys played last week. They didn’t simply play solo: the game became a social experience. They told friends, recapped funny moments, replayed the game to show off their skill, and explained its connection to the Oregon Trail game they’d played in elementary school. They played head-to-head to see who could finish with the most surviving sheep (and party members!). One game started a cascade of social interactions, even though it was a simple flash animation, not an immersive transmedia storytelling experience. Transmedia storytelling can provide your readers with several types of opportunities for social interactions and connections, each of which increases the story’s appeal. At its simplest level, transmedia storytelling provides an opportunity for shared experience—the same way as any good story, movie, or game. If you tell a good story, readers will want to tell their friends—discuss plot twists, speculate about what’s going to happen next, claim fave characters, etc. 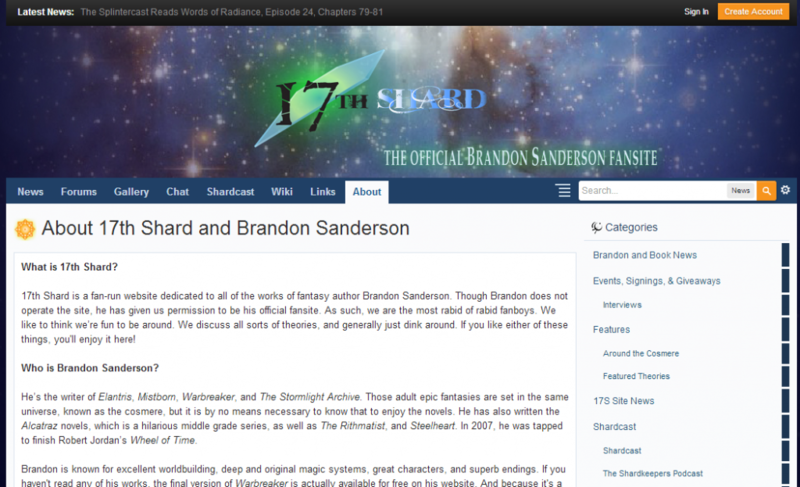 For example, check out the 17th Shard, the official Brandon Sanderson Fansite, where users discuss everything from book news to typos to how a particular character survived a high storm in Words of Radiance. 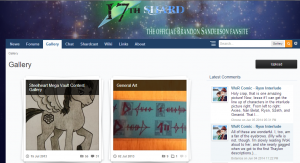 The 17th Shard also includes fan art, The Splintercast podcast, the Around the Cosmere blog, an interview database, and The Coppermind, a wiki for the magic, characters, world, and other details found in Sanderson’s books. Brandon Sanderson’s expansive fantasy world building, and the fact that all his books seem to be set in the same “cosmere,” make his works a perfect fit for this type of fan response—but this type of social interaction isn’t limited to lengthy adult sci-fi and fantasy. 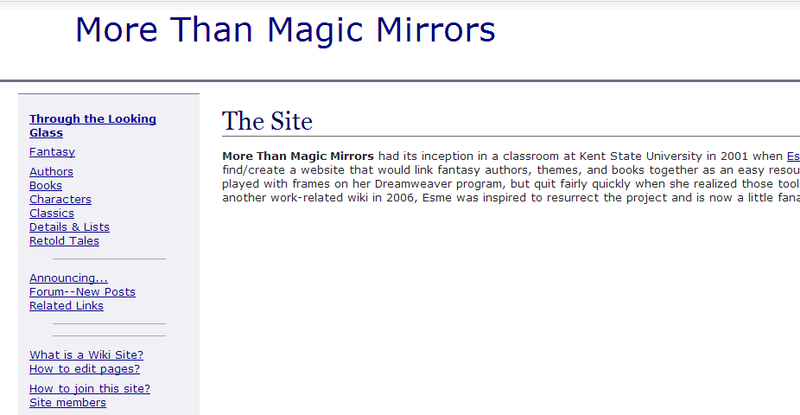 For instance, the More Than Magic Mirrors website is a wiki of “fantasy authors, themes, and books” created by a young adult librarian. It compiles information about authors, books, characters, and more for a wide range of children’s and young books—including Laurie Stolarz’s paranormal romance, Rowling’s Harry Potter series, Hilari Bell’s sci-fi and fantasy, and more. Sanderson’s novels present numerous puzzles for readers to figure out and piece together—another way transmedia storytelling can encourage social interactions. Give your readers a puzzle to solve, and they’ll brag when they discover the answer…or recruit help when they can’t. Both give your readers something to talk about, which translates into a deeper connection with the story and the story world. Scholastic Publishing uses puzzles and riddles to pull readers deeper into the universe of the 39 Clues book series. Readers don’t necessarily collaborate to find the 39 clues, but they do work alongside one another via moderated message boards. 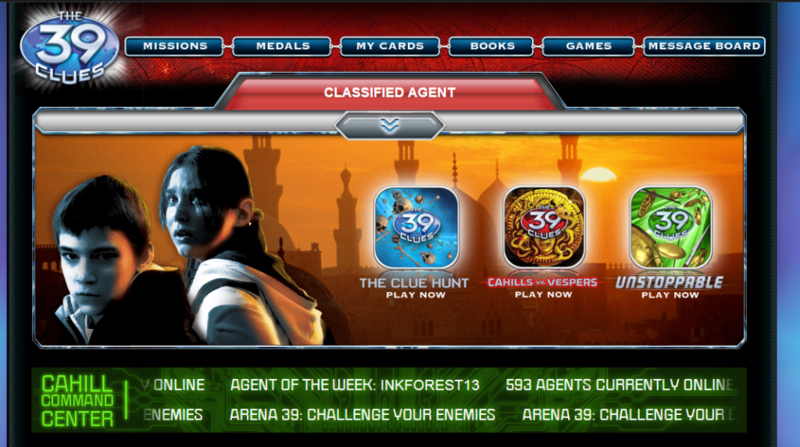 The message boards provide lots of trivia that can be helpful in the hunt, as well as additional world content, Q&A opportunities, and opportunities to interact with the series’ authors. You don’t need to launch a full-fledged transmedia storytelling campaign to create a “social component” to your story universe. In fact, you don’t have to create that social component at all—forums, wikis, and other fan-created sites may spring up spontaneously once you reach a critical mass of fans. But if you don’t yet have a critical mass of fans—well, don’t you think it makes sense to try to give readers opportunities to make those social connections? Add “Easter Eggs” to your storytelling—clues, puzzles, or hints that readers can follow to a reward. That reward doesn’t have to be a traditional prize: bragging rights, or simply knowing something that most people haven’t discovered, is often reward enough. Do you have other ideas for using transmedia storytelling techniques to make your writing “more social”, or simply easier for young readers to share and discuss online? I’d love to hear them–please share thoughts, ideas, questions, and inspiration in the comments! Note: looks like a site glitch has closed comments for this post. I’d love to hear from you and am working on a solution! Sorry for any inconvenience, and if you have something to say here, feel free to send it via the Contact Form, in the left sidebar.